Manila, Philippines - The Nokia XL, part of the new Nokia X family of affordable smartphones that run Android apps is now available in the country today, May 30, 2014. Microsoft Devices offers the new device as a perfect introduction to the world of Android apps, coupled with great design, an intuitive user interface, and the most popular Microsoft services. Nokia X family of devices that include Nokia X, X+ and Nokia XL was launched initially at the Mobile World Congress (MWC) last February 24, 2014. 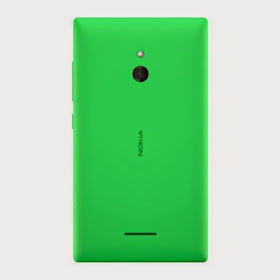 The Nokia XL boasts of its quality and design, with a fresh, tile-based user interface inspired by Lumia family. It comes with Fastlane, a screen which lets people switch between their favorite apps more smoothly. People can access curated, quality-tested apps from Nokia Store, more than a dozen third-party app stores, and by sideloading. All devices are also pre-loaded with a variety of very popular third-party apps and games. “We believe this unique combination will resonate with consumers around the world and set a great precedent for the level of quality that can be achieved in the fast-growing, affordable smartphone segment.” said Karel Holub, General Manager, Philippines, Microsoft Mobile Devices Sales. 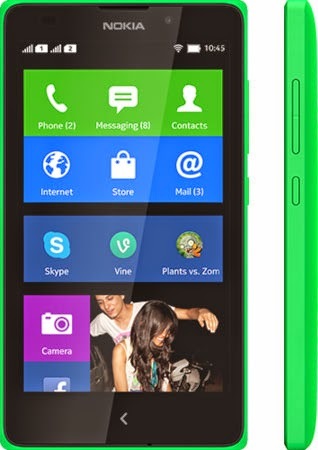 The Nokia XL is the premium offering in the Nokia X family. Boasting a 5” display, 5MP rear-facing autofocus camera with flash, and 2MP front-facing camera, it is the ultimate choice for big-screen entertainment. The Nokia XL features the same performance boost as the Nokia X+ but on a larger format. People can also take advantage of the larger screen size, front- and rear-facing cameras to get the most out Skype video calls and video apps like Vine. The Nokia XL features two screens: the Start Screen, a home screen which features a fresh, tile-based design and the Fastlane screen. Fastlane is a dynamic record of how people use their phone, day by day, moment by moment. It captures everything people love: they need only to swipe once from the Start Screen to access Fastlane, see a record of recent activity, and switch between their favorite apps, smoothly. They can return a missed call by calling or texting, accept or decline calendar invitations, or control the music player – all from within the Fastlane view. People can select what appears on their Fastlane feed, read notifications from their social networks and update their status, making them more productive on the go. The Nokia XL dual sim smartphone is now available at all Nokia stores and authorized resellers priced at PHP 8,990 (SRP).